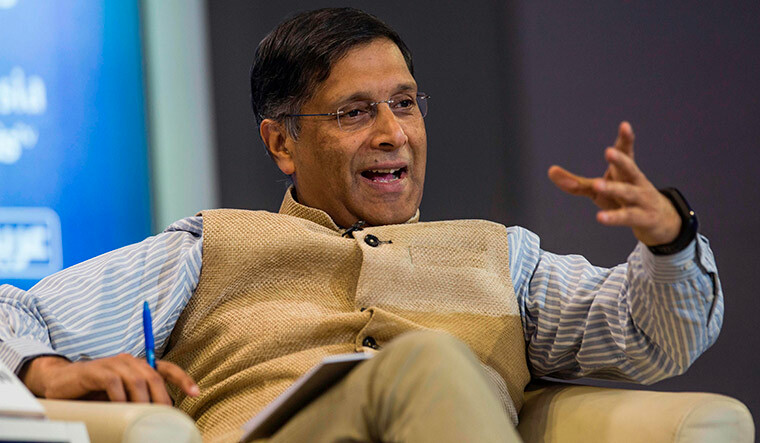 IN MARCH 2017, Arvind Subramanian entered the campus of the Indian Institute of Management, Ahmedabad, 36 years after he graduated from there. In his characteristic simple and witty manner, he spoke of his role as chief economic adviser. “Probably many of you think he does nothing at all. Probably some of you think he hangs around somewhere in Delhi and does some things. But I have to tell you, it is really a very very exciting job,” he said. He quit that exciting job a week ago, citing personal commitments that would take him back to the US. Subramanian believed demystifying economics was necessary, because “we need an informed and engaged citizenry for policy making”. In his opinion, the CEA’s only job is producing the Economic Survey of India every year. The effectiveness of the CEA, he said, was judged by the correlation of the survey and the budget. “So, if the budget completely ignores the survey, they know this is a guy who is on his own doing things and the government doesn’t listen to him. And, if there is a good correlation, they infer that he is a very influential guy. Both are not right; the truth lies somewhere in between,” he said. Till a few years ago, the survey was a drab, figure-loaded document only bureaucrats, economists and planners could make sense of. When Subramanian presented his first one—not authored by him, but by a team—it was like a blockbuster movie. His surveys reflected the passion of a committed researcher and professor. While authoring the survey gave him ample opportunity to conduct and supervise research at its dynamic best, Subramanian held on to his other passion—teaching. Last year, at the IIT Delhi, he conducted a course on ‘Contemporary Themes in India’s Economic Development and the Economic Survey’. He believed demystifying economics was necessary, because “we need an informed and engaged citizenry for policy making”. The first survey he presented (2014-15)—a few months after accepting the job—had to be about the Modi government. He asserted that big bang reforms as conventionally understood were an unreasonable and infeasible standard for evaluating the government’s performance. But, he admitted that there was “a unique window of political opportunity which should not be foregone”. In the survey 2015-16, he wrote about the “chakravyuha” challenge in the Indian economy, where it is easy to enter, but difficult to exit. He spoke in the specific context of corporates with bad balance sheets turning sick and dragging down the banks that had made advances. He spelt out the costs of impeded exit, and asserted there could be political costs as well—the benefits of impeded exit often flow to the rich and the influential in the form of support for ‘sick’ firms. “This can give the impression that the government favours large corporates,” he said. Subramanian also touched upon a hitherto untouched topic—in a chapter called ‘Bounties for the Well off’, he pointed to the many subsidies the rich were enjoying. The unsaid suggestion was to end them. It was after this that Prime Minister Narendra Modi began asking people to give up subsidies on LPG and senior citizens’ concession in railways. The last survey with Subramanian’s signature will be the pink Economic Survey 2017-18. The colour, he said, was chosen as a symbol of “support for the growing movement to end violence against women, which spans continents”. In the survey, his team has addressed the issue of “deep meta-preference in favour of sons”. There is something special about the 2016-17 survey. Subramanian was expected to say something about the biggest policy decision of the Modi government—the demonetisation. A chapter in it has a teaser of a headline, “To Deify or Demonize?” He analysed the short-term impact and eventual benefits it would accrue. At his briefing after the survey was tabled, many in the packed auditorium of the New Media Centre tried to make him reveal his mind on demonetisation. “Tomorrow I will read every piece by every one of you to check if you have written it all correctly,” he said, with a smile. Subramanian is widely seen as the man who played the sheet anchor to the enormous transformation in taxation—the goods and services tax. 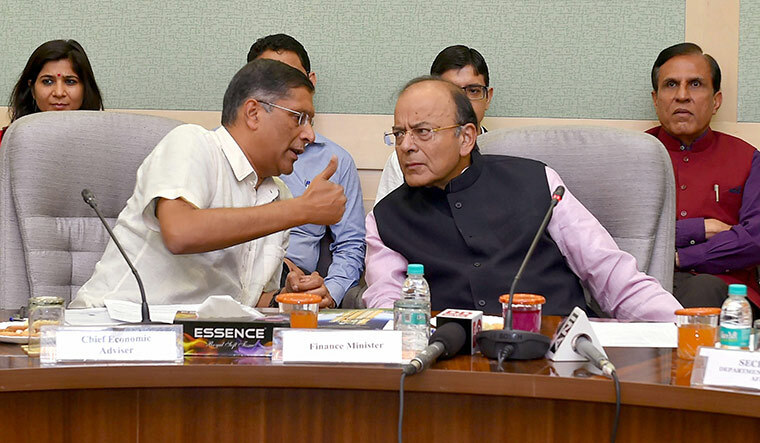 Union minister Arun Jaitley has pointed out that the CEA sat in every meeting of the GST Council and gave valuable, independent views. His suggestion of getting petroleum products and real estate under GST, however, was brushed aside. There is more to Subramanian than the economist that he is. A few days after it was known that he was quitting his job, he tweeted a piece he had done on tennis—“Tennis fandom in the Roger Federer-Rafael Nadal era: All you need to know”. Nobody really believes Subramanian is leaving just to be there when his first grandchild is born. It is quite likely that his job is done for now, given that there will be general elections next year.